For more information regarding this event, please email Professor Jussi Parikka at J.Parikka@soton.ac.uk . 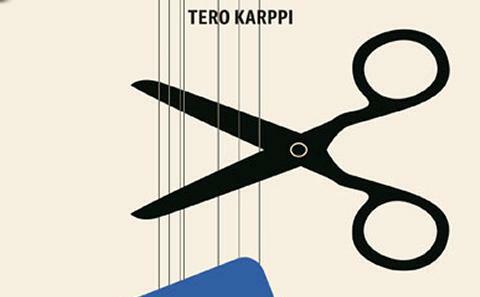 Welcome to a guest talk by Dr Tero Karppi (University of Toronto), who will discuss themes from his just published book Disconnect: Facebook’s Affective Bonds (University of Minnesota Press, 2018). After the Cambridge Analytica revelations, #DeleteFacebook hashtagbecame a trend. #DeleteFacebook was the crystallization of the demands to leave the social media site because it was compromising privacy, exploiting user data, and the connections it established could be used to manipulate the current political climate. In this talk, I show that the demands to disconnect Facebook have existed almost as long as the social media site. Furthermore, I argue that this threat of disconnection is constitutive to how Facebook understands user engagement and builds its affective bonds. Facebook’s futures depend on disconnection and are designed against its different modes and modalities. Tero Karppi, Univeristy of Toronto, is assistant professor at the Institute of Communication, Culture, Information, and Technology at the University of Toronto (Mississauga). He is the author of Disconnect. Facebook’s Affective Bonds (University of Minnesota Press, 2018). Karppi’s work critically examines social media and cultures of connectivity. His research has been published in journals such as Social Media + Society, Theory, Culture & Society, and Culture Machine.